The importance of investing in the early years permeates the SDGs. Particularly, Targets 2.2, 3.2 and 4.2 specifically call attention to early childhood in hunger, health and education; Target 4.2 calls for early education for all children. Yet, actually moving the world’s decision makers to prioritize investing in young children will require the active involvement of the most influential thought leaders in every country. One of the most powerful group of influencers is the business community. Business leaders care deeply about supporting the current workforce, as well as building the workforce and customer base of the future. As passionate as they are, it isn’t easy to convince busy executives that giving children a good foundation is a business and economic imperative. They appreciate stories – but they need evidence, facts, and reason. Thankfully, the business case for early investments is a solid one, but making that case in a way that reaches and inspires business leaders across the globe requires smart implementation. Five foundations hit upon a strategy they wanted to try. Instead of going it alone, they joined forces to lay groundwork in eight countries. First, the Switzerland-based, worldwide active Jacobs Foundation learned about a growing movement, organized by ReadyNation International, to convince business leaders of the importance of early childhood and support them to take action. These actions include traditional roles such as community donations or family-friendly practices, but go far beyond to include advocacy for effecting large-scale change and influencing public funding. ReadyNation International is a business membership group that supports executives to take these actions, to add their clout to the efforts of traditional children’s advocates. Building on a 10-year history of business mobilization in the U.S., it has now worked with local leaders to create these networks of business champions in Uganda, Romania and Australia. The Jacobs Foundation wanted to explore how this strategy could work in additional countries. The Jacobs Foundation built a funding partnership with the Bernard van Leer Foundation, Aga Khan Foundation, Compagnia di San Paolo, and the King Baudouin Foundation. The purpose of the partnership was to host a joint conference, organized by ReadyNation International, to train teams from various nations to try to enlist their own business leaders to work as advocates for investments in early childhood programs. “The goal wasn’t to spur action for one country alone,” Muriel Langenberger from the Jacobs Foundation said. 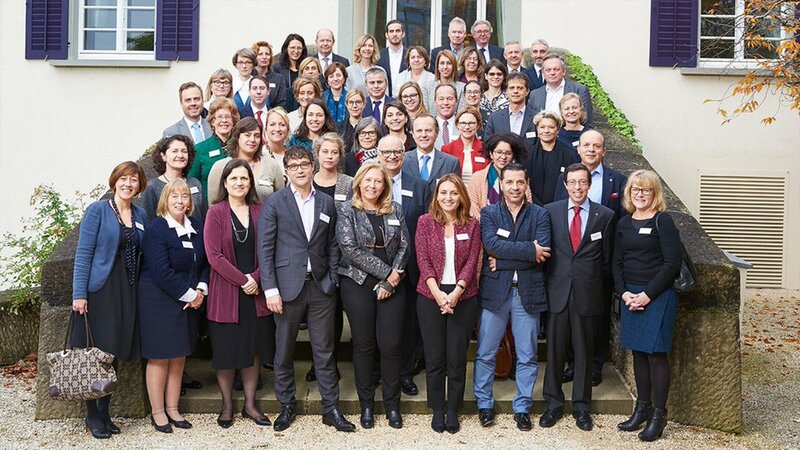 “We wanted to see if we could inspire business leaders across several partner countries and learn from each other.” To that purpose, the first European Business Forum on Early Childhood was held in Zurich 29-30 October, 2016, for teams from eight countries (Switzerland, Netherlands, Italy, Portugal, Belgium, Romania, Turkey, and the UK). Fundamental to the Forum’s success was that it was not an early childhood event in the traditional sense. Instead, the Forum gathered 60 business people and other key players across eight nations in order to make the economic case for investing in early childhood to a specific audience that could help create a network of business champions. The training conference used experts in economics and brain science to make that case. In addition, leaders from companies, employer organizations offered personal testimonials about why they support early childhood, what they were doing to forward these goals, and what additional measures they would take in the immediate future. The Forum made an impression: Post-conference surveys showed 74% of respondents expressing interest in taking action as a result of the event, such as sharing information with other business leaders, organizing follow-up actions in their respective countries, and meeting or sharing information with policymakers. Said Miguel Ribeirinho of Delta Cafes (an international coffee company headquartered in Portugal), “This event for business leaders opened my eyes about the surprising extent to which early childhood programs are intertwined with our company’s future.” Leontien Peeters from the Bernard van Leer Foundation said, “Given ReadyNation’s work to support the mobilization of private sector leadership in Uganda, we wanted to share lessons learned with business leaders from other countries.” The foundations are now considering next steps to build business support for early childhood in their countries. The Jacobs Foundation has just launched a national campaign involving the business sector for investing more in early childhood in Switzerland. The event illustrates the power that can be harnessed when business leaders align to back solutions that can improve the lives of countless children as well as strengthen the global economy.